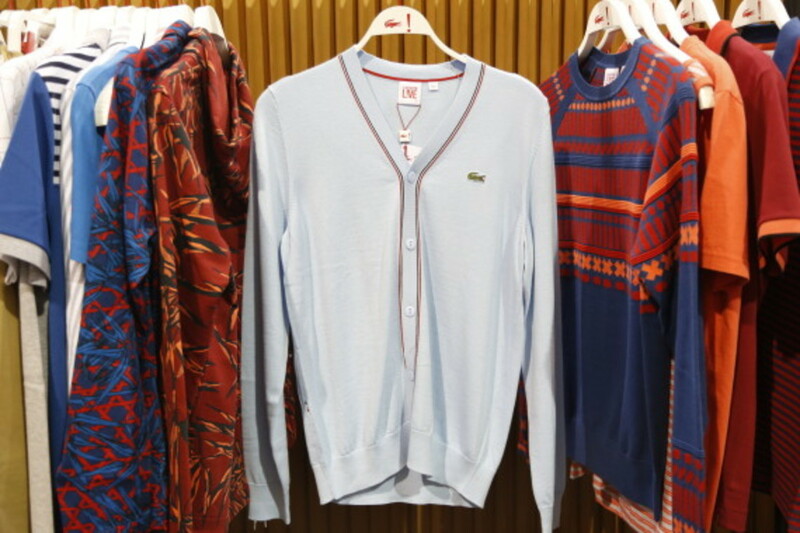 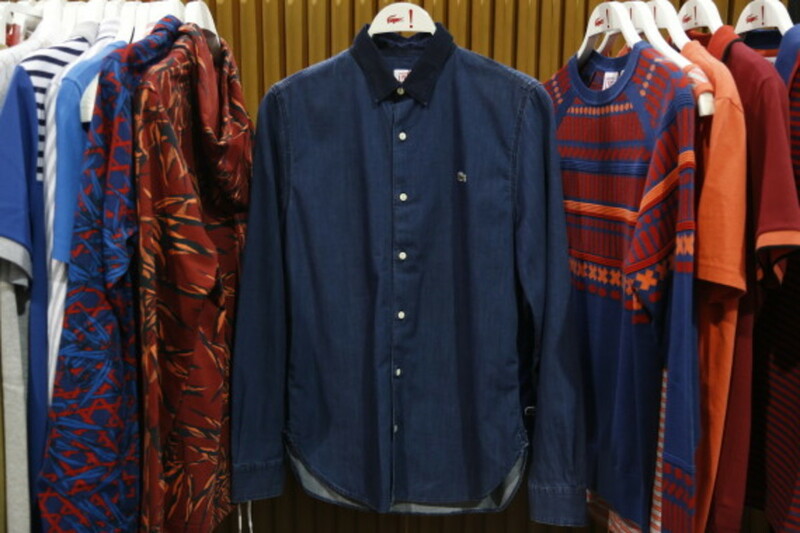 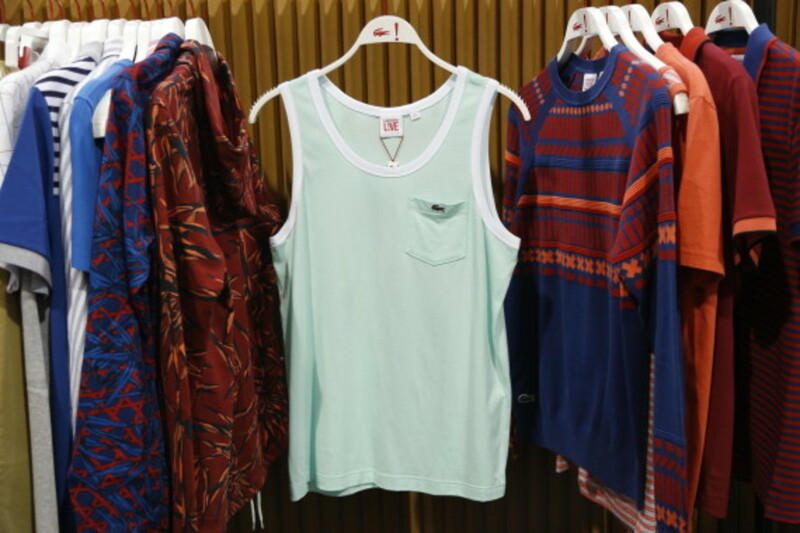 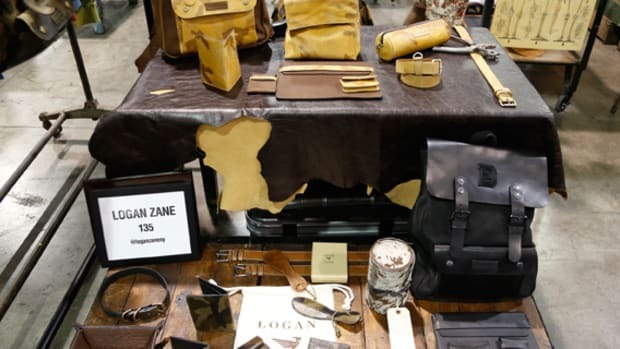 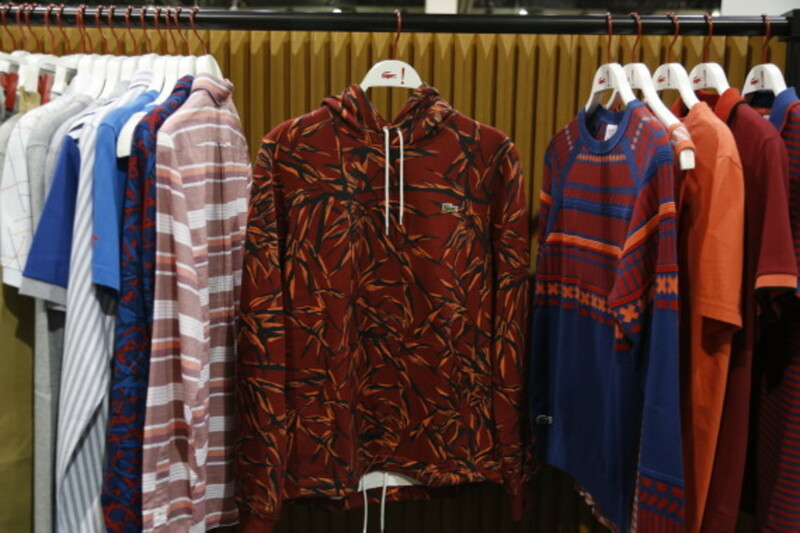 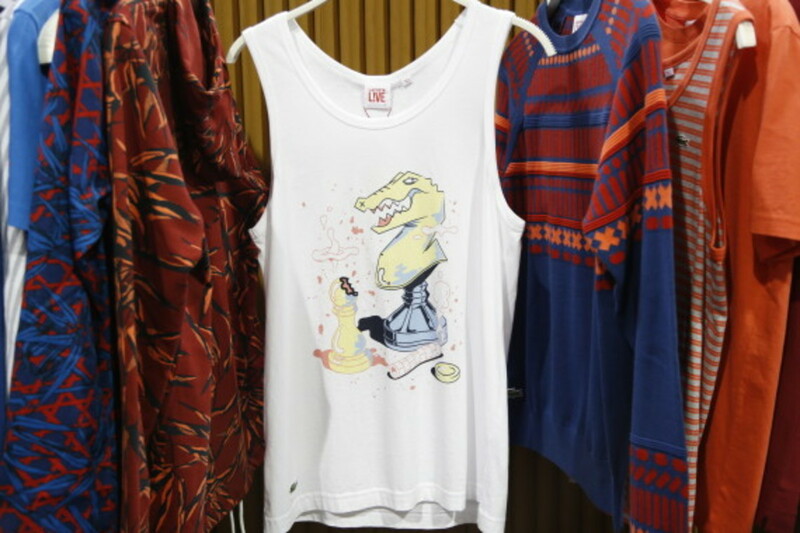 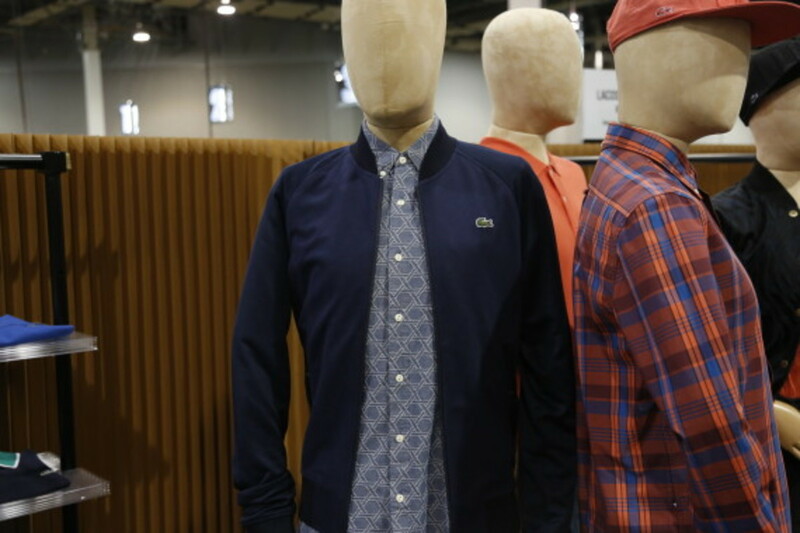 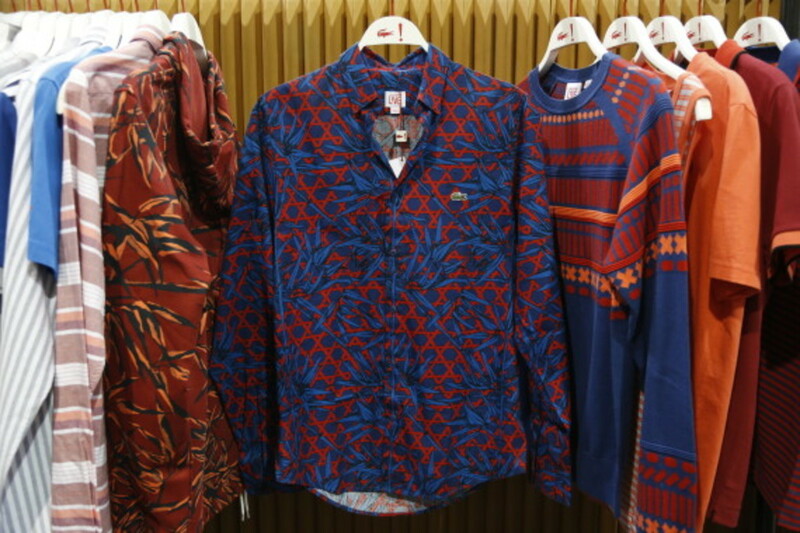 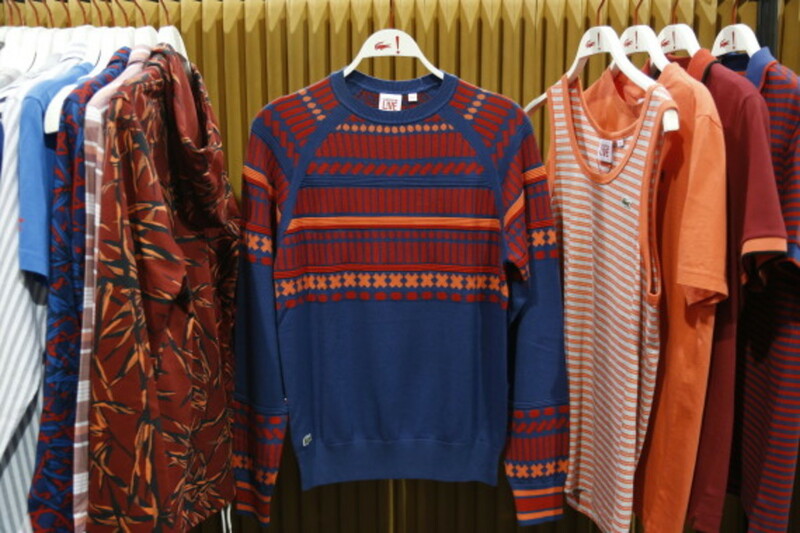 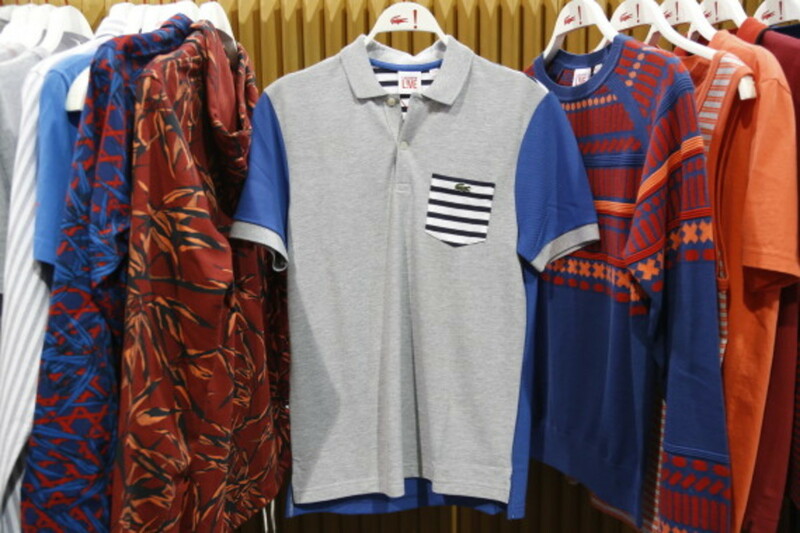 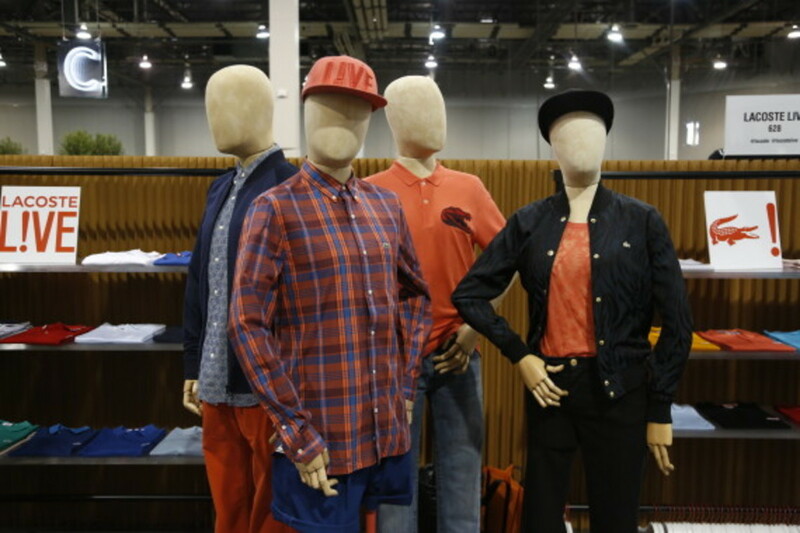 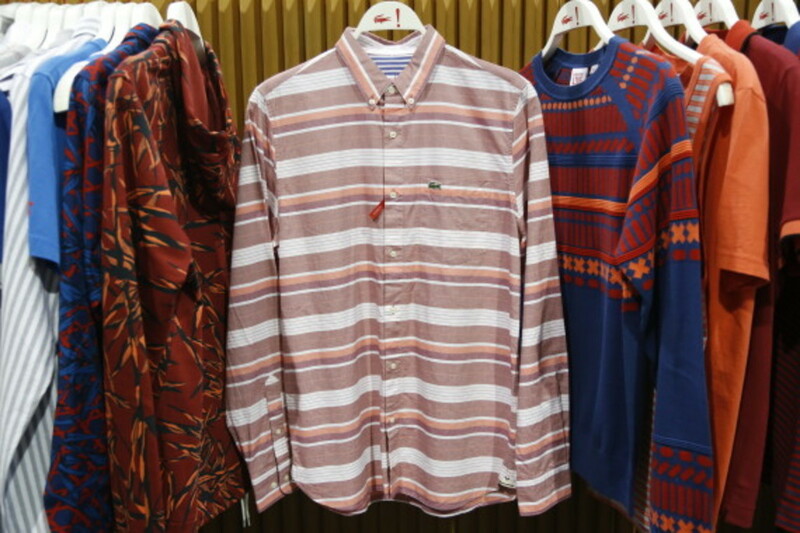 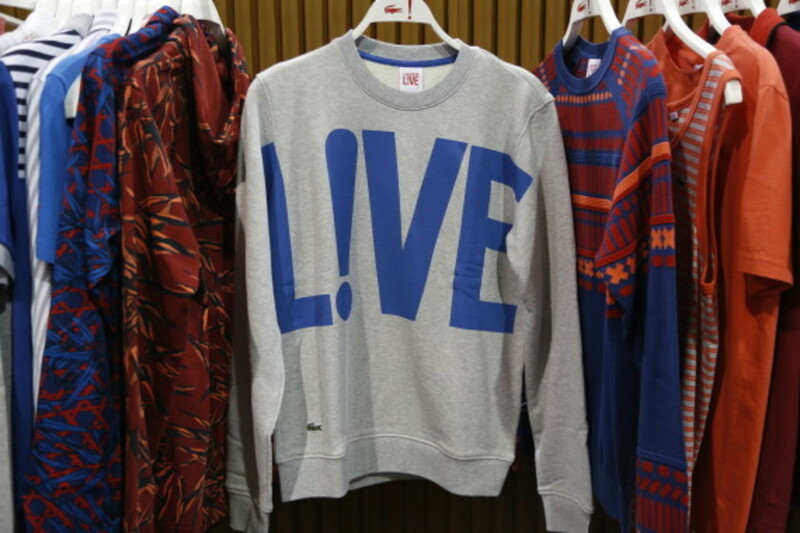 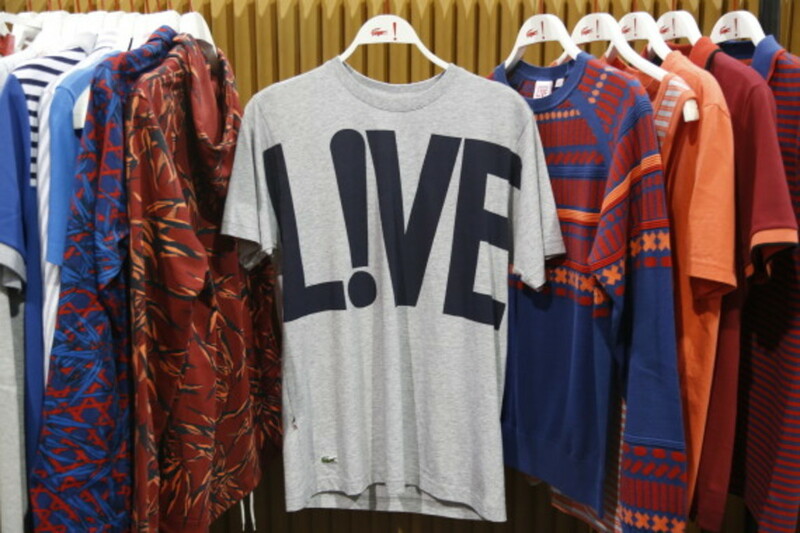 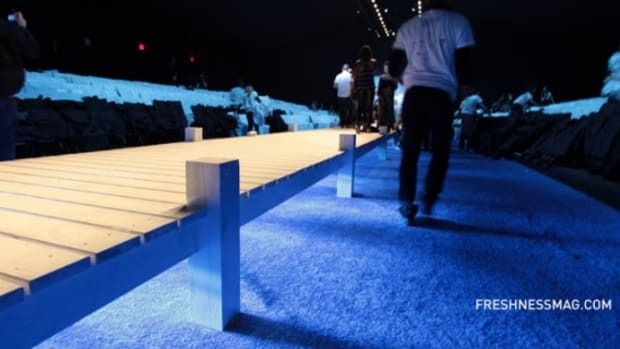 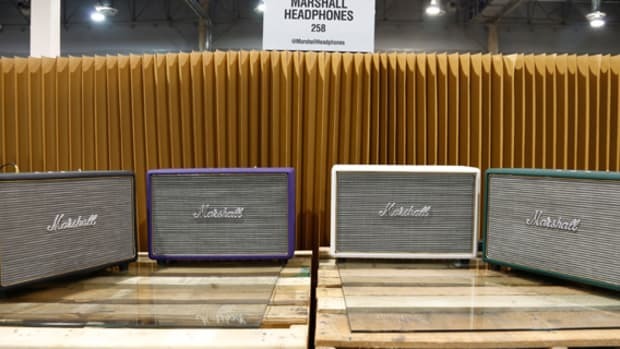 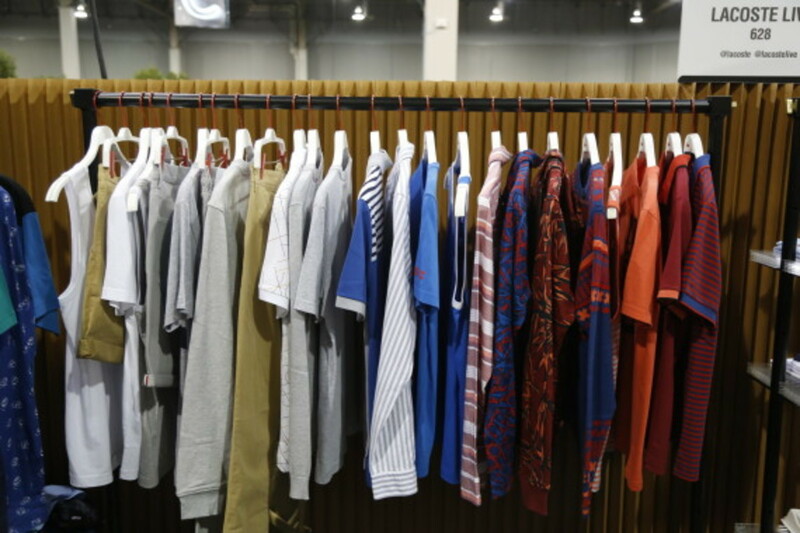 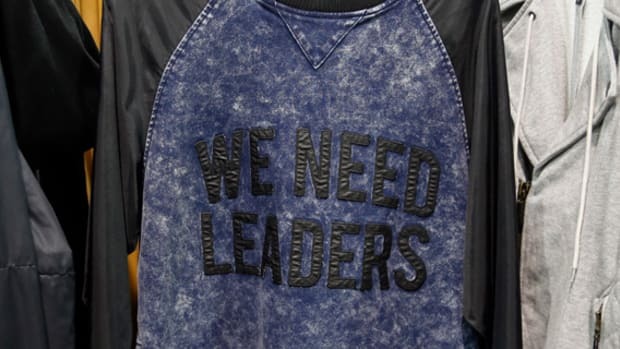 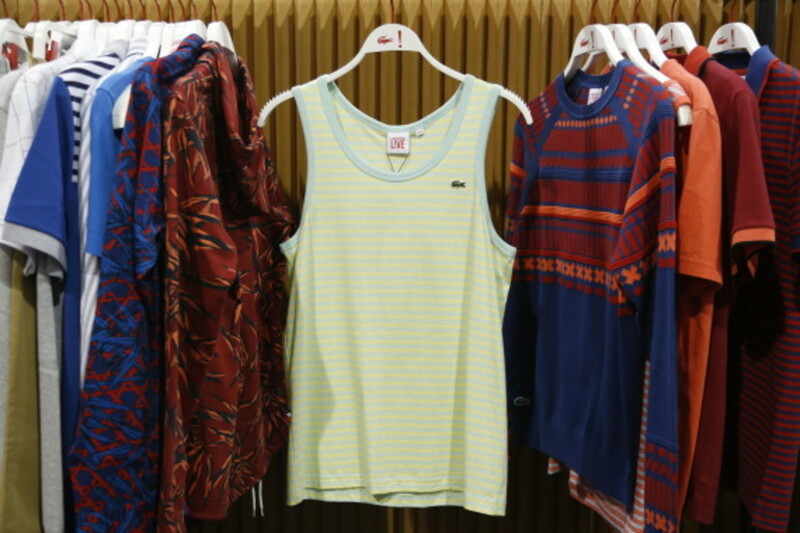 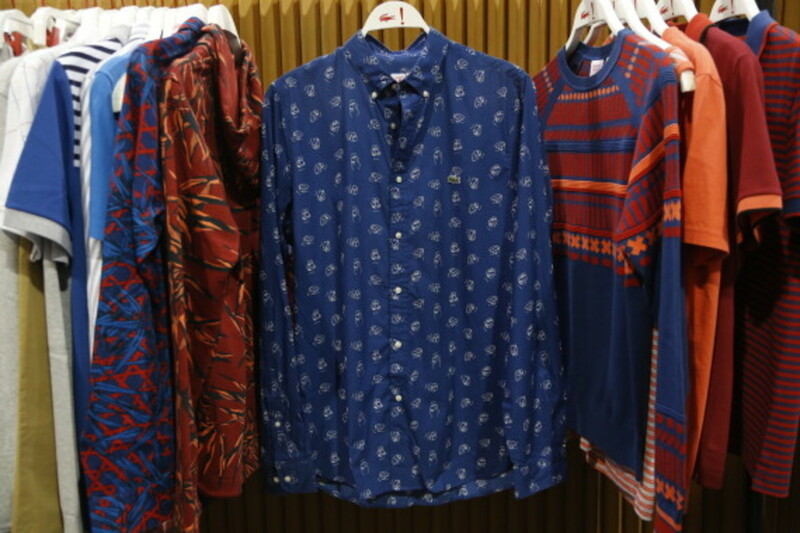 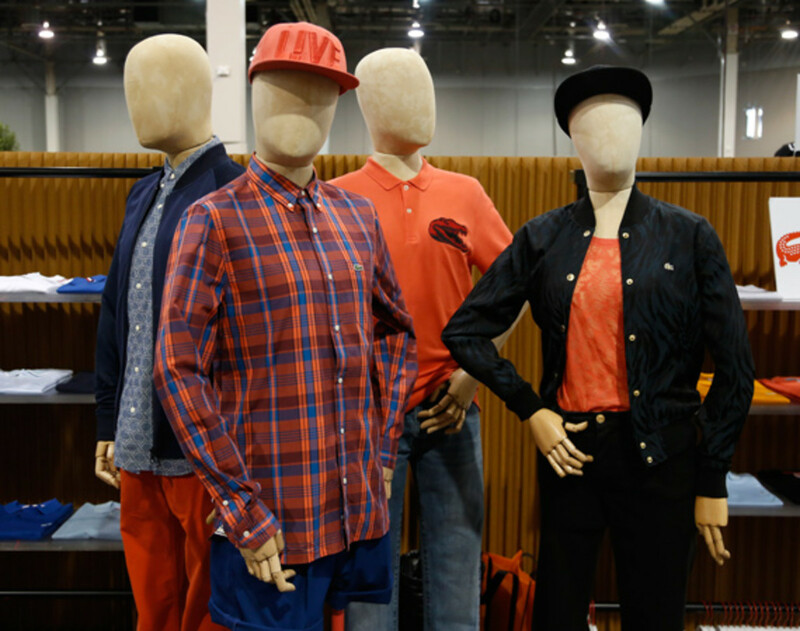 The lucky attendees of the Liberty Fairs in Las Vegas last week (which transpired from August 19th to the 21st) got a healthy dose of the Lacoste L!VE Spring/Summer 2014 Collection and we&apos;ve got the pictures to prove it. 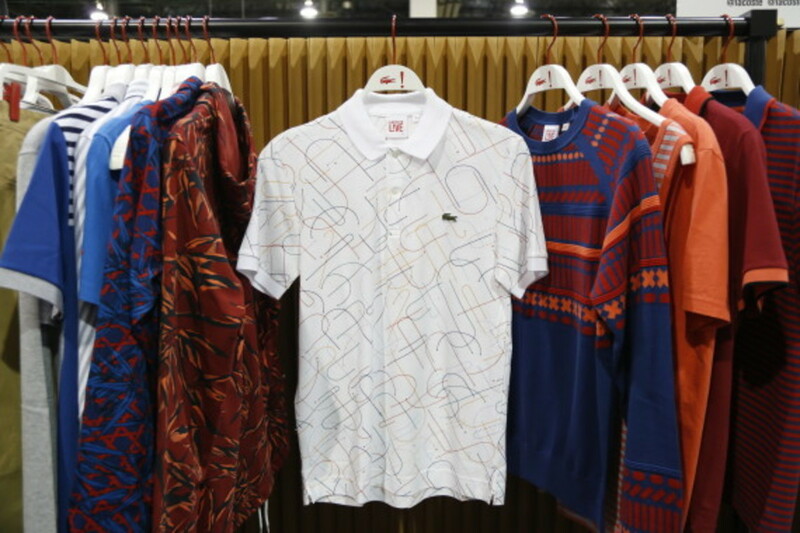 Amidst the world&apos;s best brands in Sam Ben-Avraham&apos;s exciting new spin on the tried-and-true fashion trade show, LACOSTE let its younger, more playful diffusion line, LACOSTE L!VE, boast its sartorial chops in orange-hued flannels, polo shirts, hats, and pants. 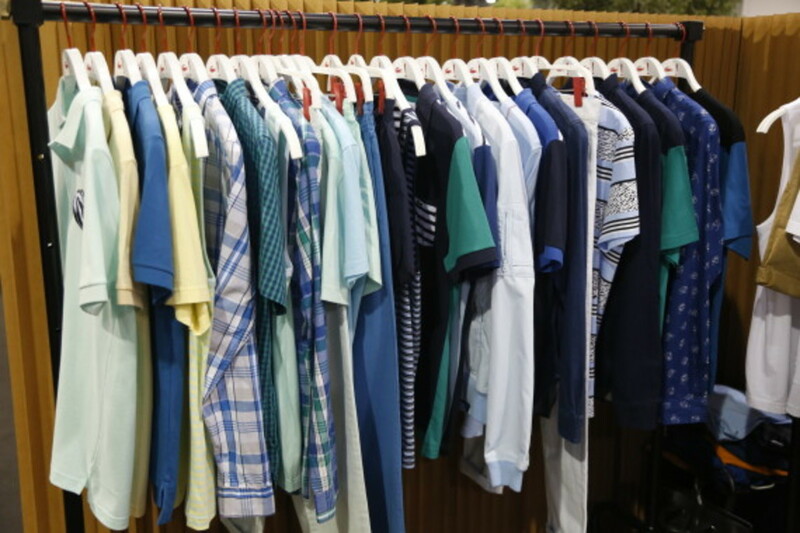 Cooler shades of pastel blue and green are also found in the collection with spirited appeal. 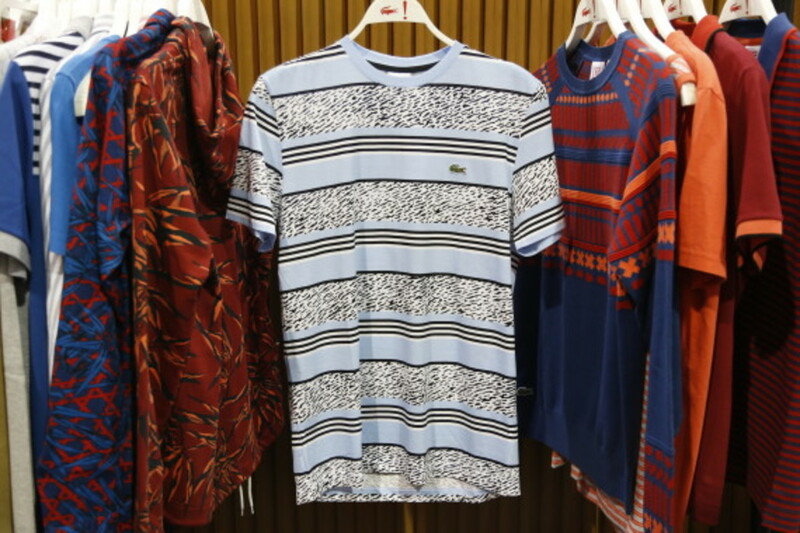 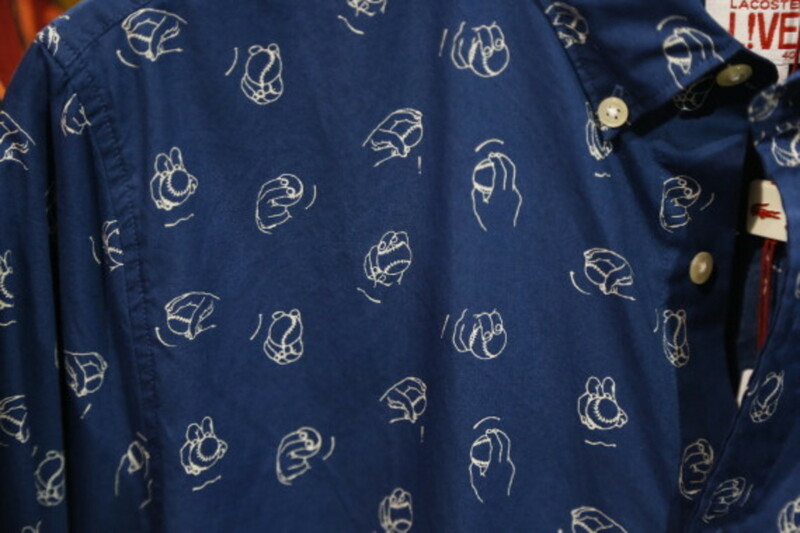 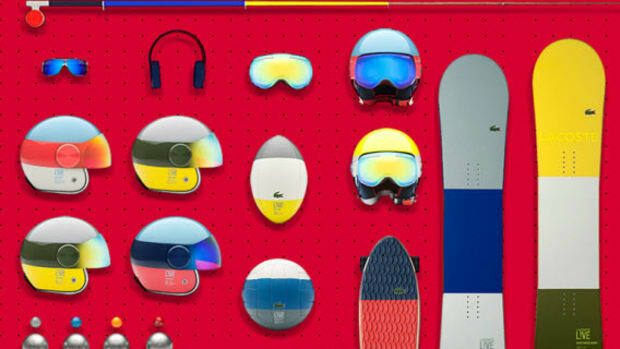 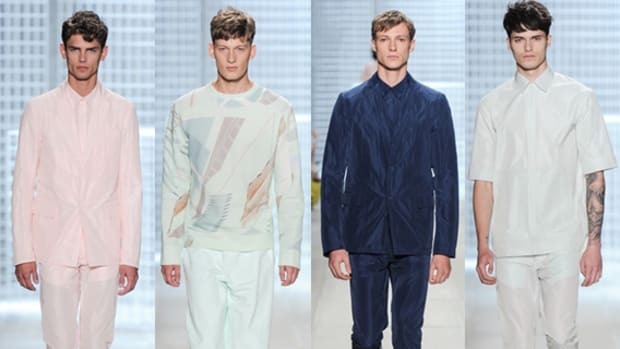 In addition to the color blocked pieces inherent to the LACOSTE aesthetic, the menswear collection also features plenty of eclectic prints such as stripes, sketch strokes, baseball throwing techniques, open-ended shapes, and lattice patterns. 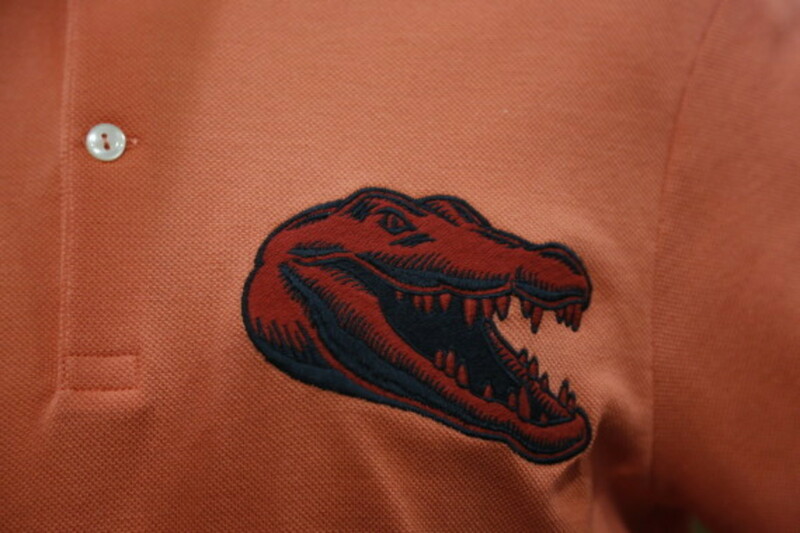 The updated version of the LACOSTE crocodile logo has even been reworked to be an enlarged crocodile head embroidered on the right chest for striking affect. 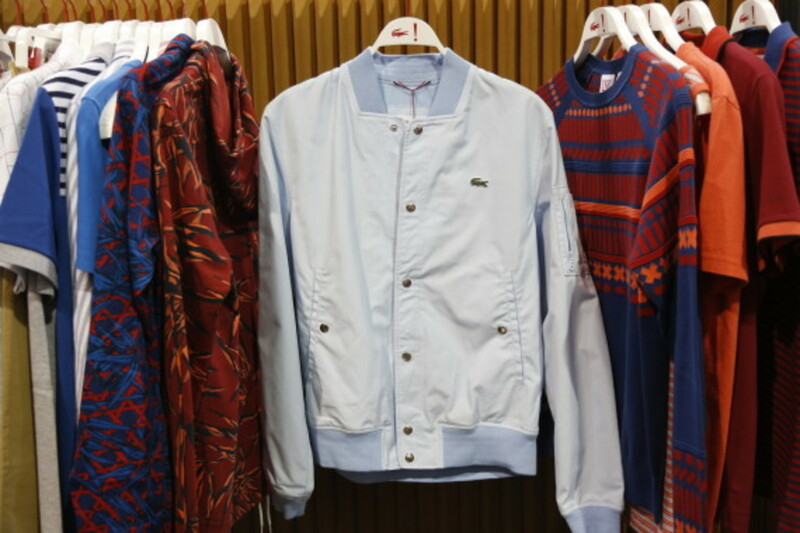 The wardrobe overall feels reminiscent of the 90s with an appropriately preppy twist. 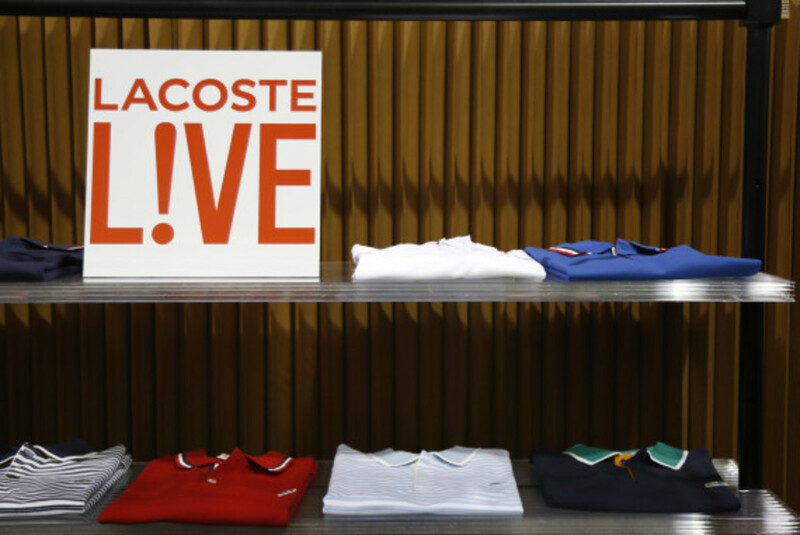 The fitted tailoring and soft color tendencies of the pieces can be interpreted as LACOSTE L!VE&apos;s adherence to the impeccable French elegance of its parent company. 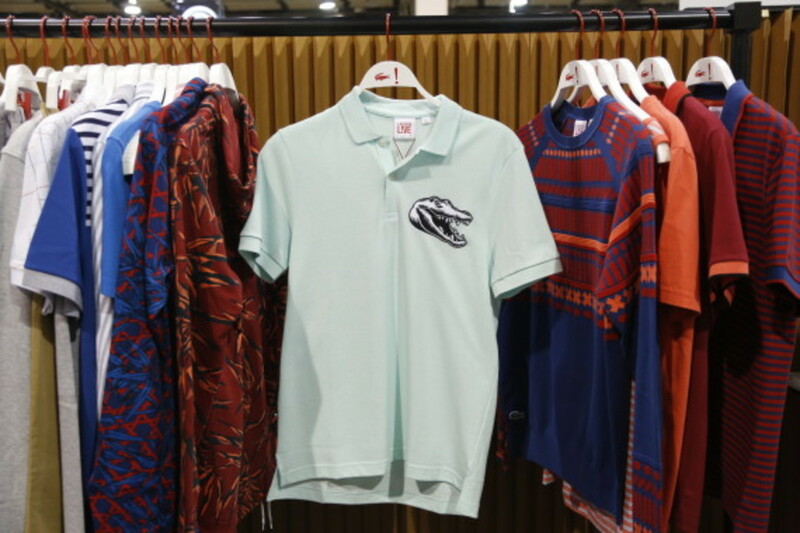 If we had to judge by the collection if the off-spring brand were destined to become a cult-phenomenon too, we&apos;d have just two words to say: Oui, oui.